I am back again, and I am loving spending every morning with you! Thinking I will make a habit of this! 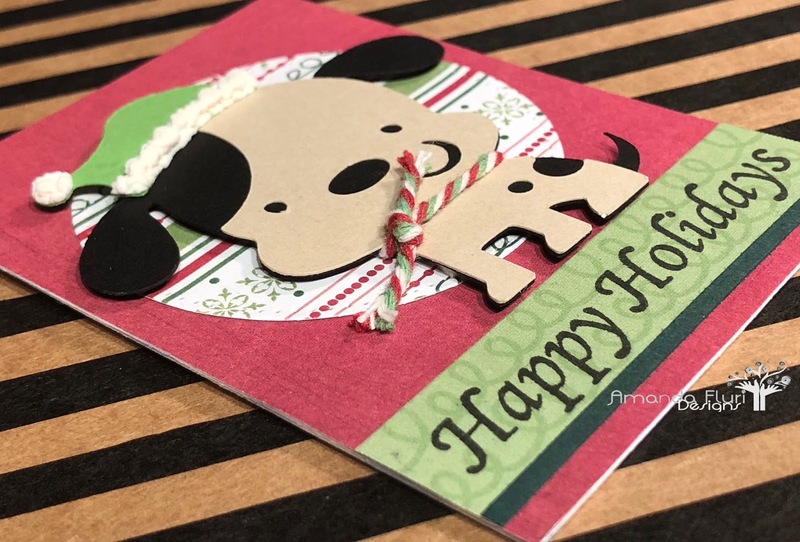 For those of you who are crafters, you know that most of us are starting to think about getting started (if we haven't already) making our Christmas Cards and Tags. I haven't quite gotten there, however as we begin to move that way I thought it would be the perfect time to share with you my December ATC from last Christmas because I am behind. I am thrilled how this turned out. Most of the time I usually have an image or a die that I really want to use, and then I build the card or ATC around it, however this time I did it different and had the paper that I wanted to use. The papers for these ATCs are scraps that I had from a past project and I really wanted to use them. 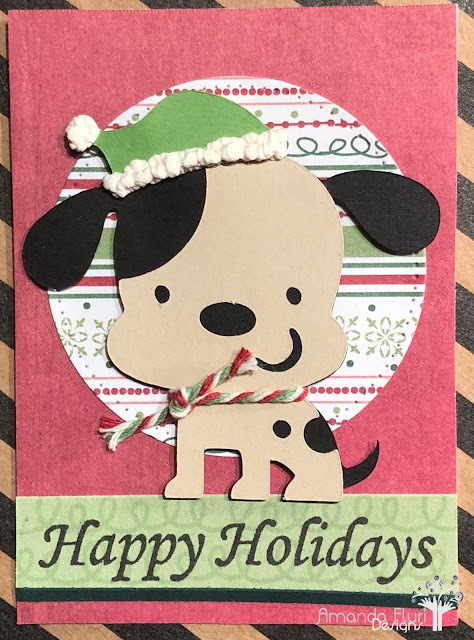 Once I had created the backgrounds the I played with my cricut machine (which I don't do often enough), and am loving this cute little guy that I cut out. Mono Multi Glue - used to adhere the layers of the dog together, and the dark green strip of paper. Cricut Machine - linked to a new version of the machine, even though my version is quite old at this point. Recollections - Sugar Plum paper package - used for the pattern paper behind the sentiment, and the pattern paper used for the circle (purchased at Michaels Canada several years ago - no link available). Thank you for stopping by. Please leave me some love below, and I will be back shortly tomorrow to share something else with you! Here we are on Day 3! I am so excited to be on here posting more frequently, and I will continue to do so, and eventually it's going to become habit. I am not sure how many people actually follow my posts but it doesn't seem to matter at all. If you are here, then please leave me some love below in the comment section, and let me know what you are hoping for more of! Today I am sharing with you a November ATC that I had made last year for the group that I am in. 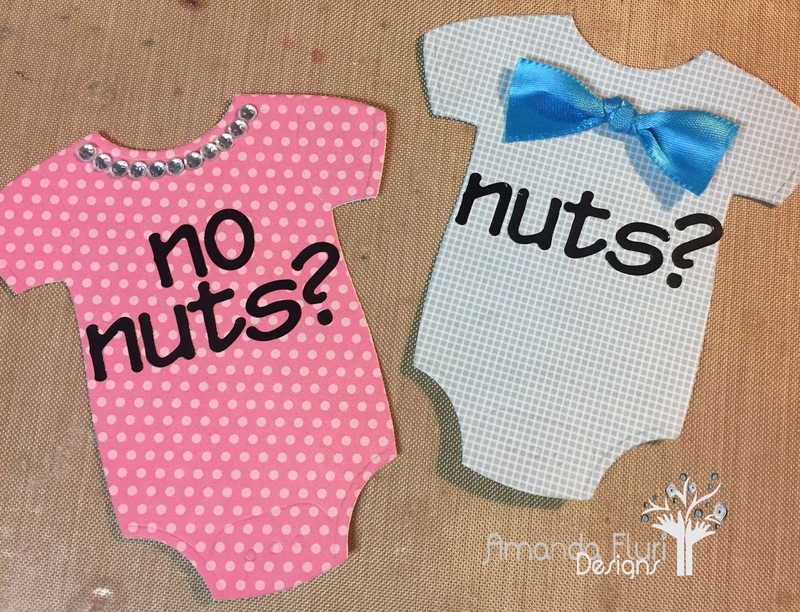 If you aren't sure what ATCs are I explained them in one of my latest posts. 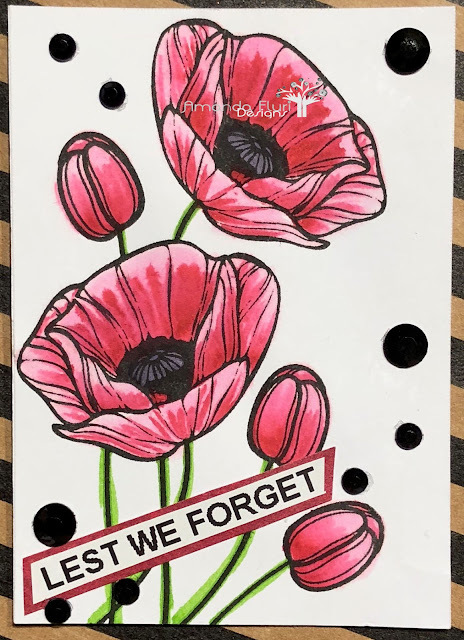 I purchased this stamp because it LOVED the look of it, and the way that it could be used for things beyond Remembrance Day (here in Canada)! I didn't do very much in way of a background because I felt as though the stamp should be the main focus, and that it was enough all on its own! It must also have been made on a day that I was feeling like colouring, and playing, and I couldn't be happier with the results. White Cardstock - used for the ATC base. Hey Everyone! I hope that everyone's week is off to a good start! I thought that the weekends were for recovering and relaxing, but somehow mine aren't at all like that. 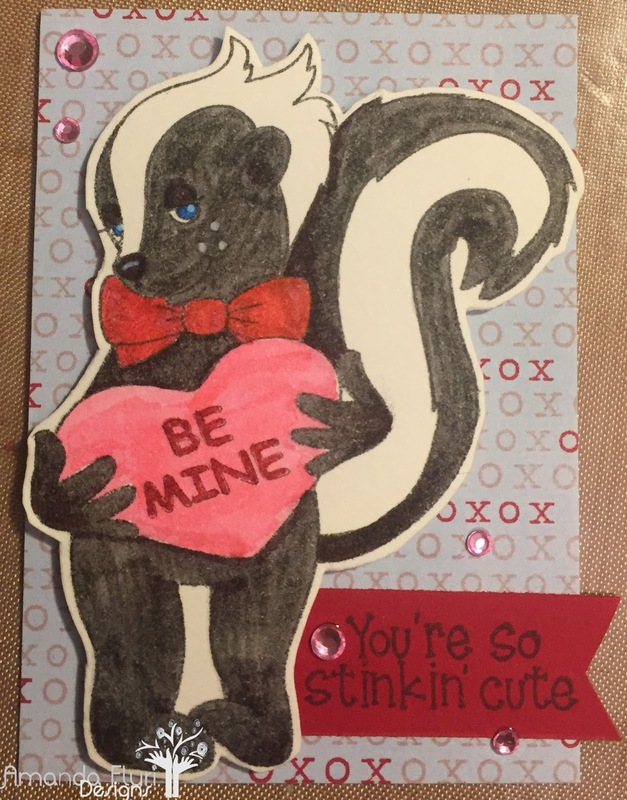 This past weekend I went to a friends house, and enjoyed some card making time with her. It's been close to 3 years since we've had a chance to do this, and hopefully this is just the start of card making together again. I spent a lot of time colouring, so am very excited to start assembling the cards! Anyways, I am back to share something new with you! When I say something new I don't just mean a new card that I created, but I mean this was NEW for me. 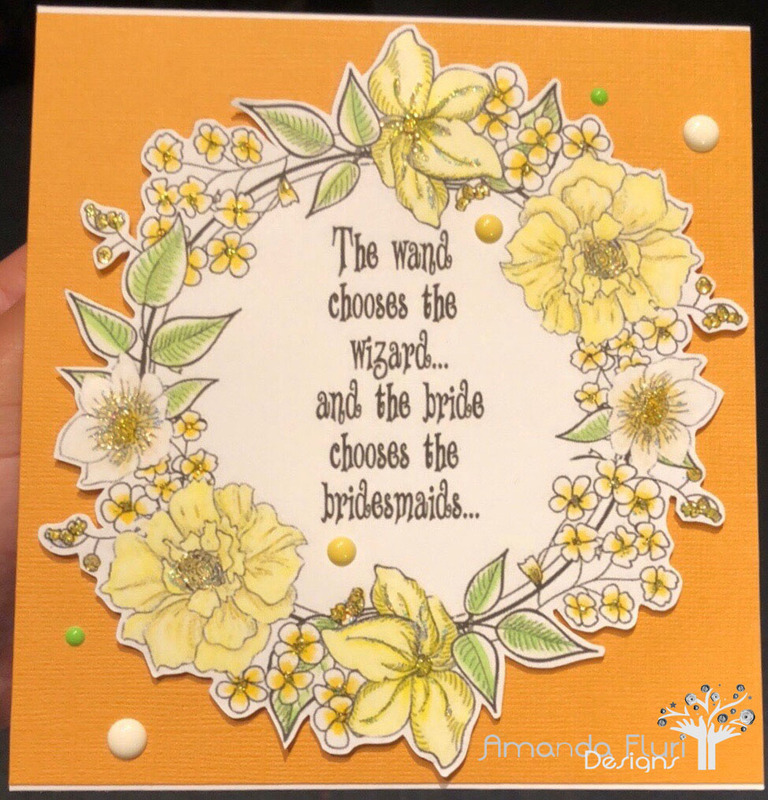 I have NEVER created a card like this in all my years of card making, and I was honoured to have been asked to create this for a friend to help her ask people to be in her wedding. 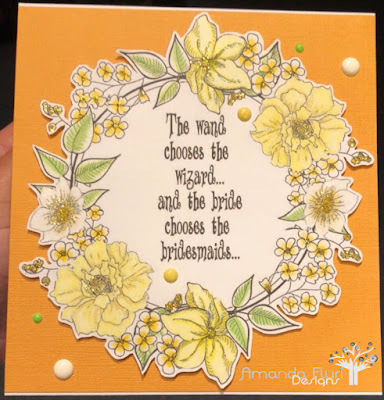 She her only request for this card was that the sentiment be the one that she sent me and that the colours be yellow and black (Hufflepuff colours). Skies the limit right? This in itself I found fairly challenging, so I took to my Photoshop program, and started playing around and I came up with this really cute image. I decided that I was happy with it, but that was only half the battle. The other challenge was to make sure she like it, which thankfully she was in LOVE with what I had created. 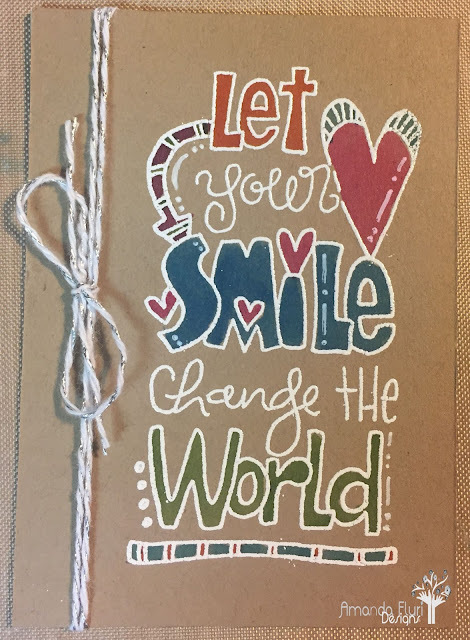 This is a one of a kind card. I did not create a second one of this, just the one that she's given to her Bridesmaid! Gamsol Blending Solution - used with the paper blending stumps to help break down the waxy pigment of the pencil crayon, and smooth out the colours. 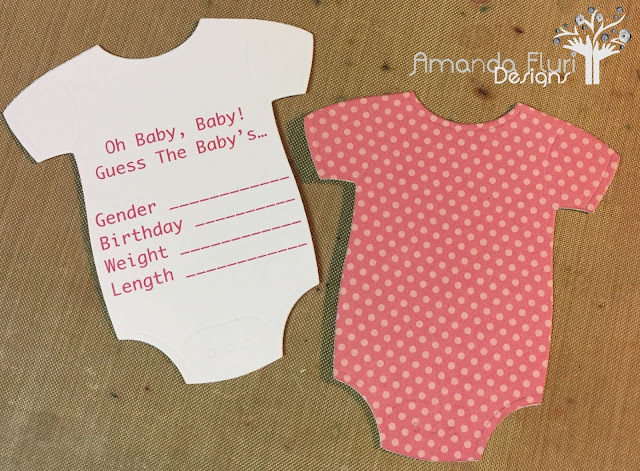 Double Sided Tape - used to attache the front and back of the card to each other. Icicle Stickles - used to add some shimmer to the main image and help add some dimension to the image. 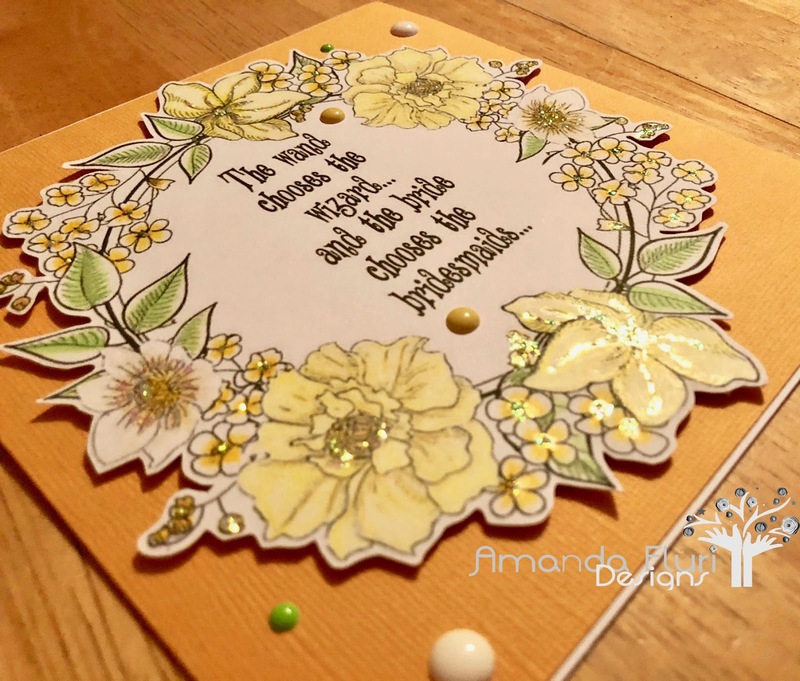 Doodlebug Sprinkles (white lily, bumblebee, and limeade) - used to help embellish the card front. Hi Ya'll! I know that I have been away for a very long time, however it's been a very interesting couple months. I won't bore you with the finer details, however in the last couple months we've welcomed a new baby into the family...not mine, but I've got a brand new nephew! Labour and delivery was a challenge for my sister, so we have been picking up the pieces and spending more time with my 28 month old niece to do our best to help out. During my time away from my blog we've done some traveling (most recently to Nashville). I've been doing some massive physio for my vertigo, and it seems like it's FINALLY under control, so I will be able to sit and blog again without feeling like I'm on a boat! I cannot tell you how excited I am to be back with you! 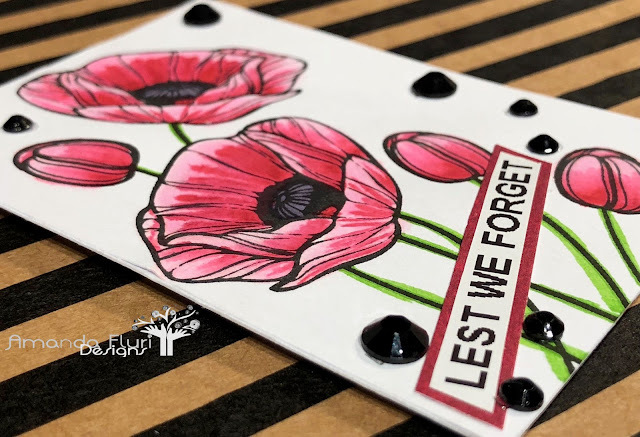 I am behind posting so much, but I thought that I would start with posting some of my 2017 ATCs that I haven't shared with you yet. For those of you who don't know what ATCs are there are not honestly very many rules to creating them. The only concrete rule is that they are 3.5 inches by 2.5 inches. Everything else is up to you! When I create mine I tend to really pull my inspiration from either the time of year or the holiday and season that is upon us. Generally I make one a month, and I am in a group where we trade with one another. Basically once you receive one in the mail from someone, you are responsible for returning mail to them with a new ATC. 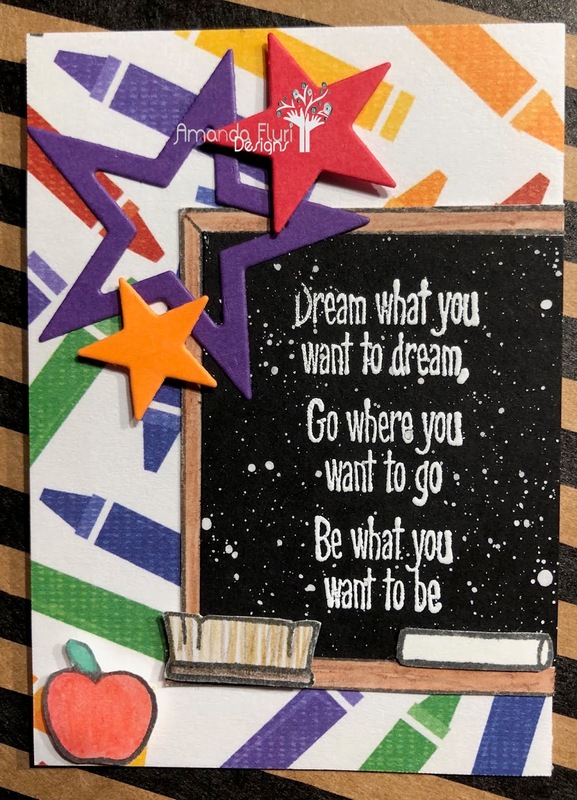 Because I live in Canada usually September is back to school for all the little ones, so I thought that I would create my ATC with this in mind. I had a pattern paper that I was really wanting to use, so this provided the PERFECT opportunity to do this. I should also mention that usually I create 10 of the same ATC, however sometimes the colour combinations of scrap papers differ between them, and I usually intend to use up scraps, and this is an amazing chance to do so. Paper Trimmer - used to cut out the card base and the pattern paper background. Acrylic Block - used to attach the polymer stamps to. EK Success Tweezers - used to help position the stars and the little extra school supplies to. Anti-Static Powder Tool - used to ensure that the embossing powder only sticks too where the embossing ink was stamped. Tim Holtz Scissors - used to fussy cut out the school supplies, as well as the chalkboard. Paint Brush - used to splatter the white acrylic paint onto the black cardstock. Foam Adhesive - used to pop up 2 of the stars and the apple. 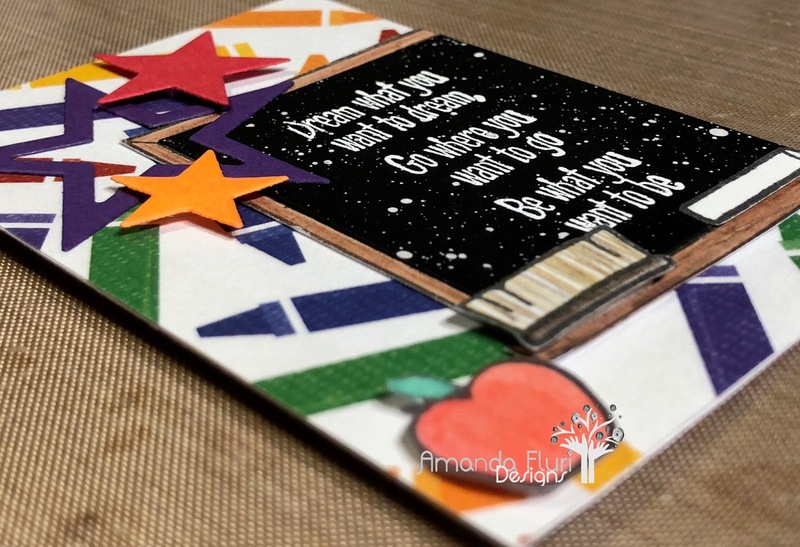 Mono-Multi Glue - used to attach the chalk, brush and stars to the base of the ATC. White Acrylic Paint - used to splatter on the chalk board, to make it look a little bit dirty/used. White Embossing Powder - used to really bring emphasis to the sentiment. Lawn Fawn "a good apple" - stamp set used to stamp the school supplies, and the chalk board. White Cardstock - used to stamp for the ATC base and used to stamp the chalk onto. Watercolour Cardstock - used to stamp the apple, brush and chalkboard onto prior to colouring them. Hey Everyone! This is a very special post for me. One of my really good friends is having a baby! I was so excited to be asked to put together a couple of things for her reveal party. I think she would agree with me...some of the coolest things are the little hand made touches that add to special moments like this. I made 3 different things, however I will only feature 2 in this post as I totally forgot to take pictures of the 3rd thing. She had bowls with M & Ms and she had asked me to put together a couple little onesies to tell people what kind of M & Ms they were. The wording was quite clever too...YAY Pinterest win for the idea, but I executed this one all by myself! 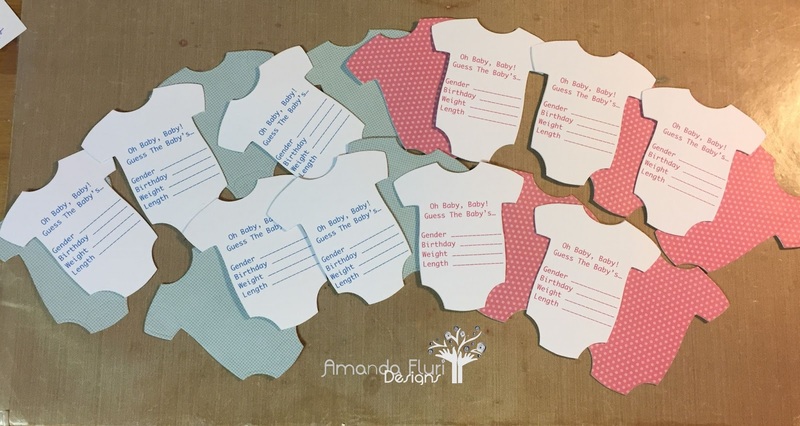 Mono Multi Glue - used to attach the printed onesie with the words to a plain white onesie, and then attached to a pattern paper onesie. The words were printed on the computer, and I configured them in a word document. Then I cut them out with the die cut and the cuttle bug, and attached them with the pattern paper on the back. LOVE How these turned out! Would love to know your thoughts? 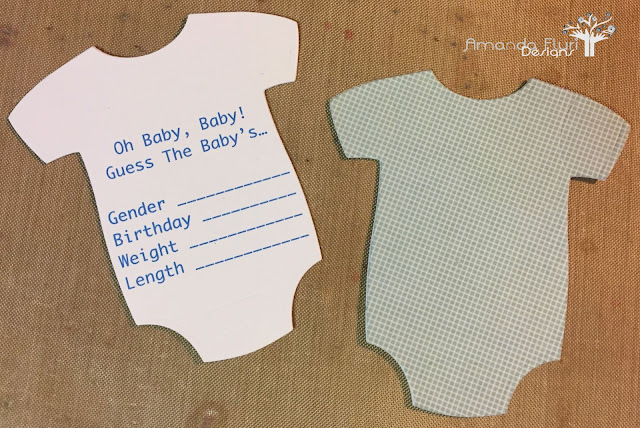 Leave some comment love before and check back very soon for some more unique and new designs! Hi Everyone! I know that this post is a little late, but I'm working on getting back on track. Life has been crazy, but I am soooooo excited to be back at this! I designed this ATC back last August for the group that I trade these with. I wanted to do something bright, but very simple and clean/classic. I used very minimal supplies which was fun, and worked on using up some scraps of string that I had laying around. Water Brush - used to pick up the ink and place it on the image/sentiment where I wanted it. Silver Twine - used to add the bow and ribbon down the left side. Hi'Yall! I am so excited to be back with another ATC to share with you guys. I said in my last post that I would do better at making an ATC for each month, and so far I am off to a pretty good start! Month 2 of the year, and for some reason one of my most favourite months. I don't know what is it about this month that I love so much, maybe its that I love LOVE. I don't know!